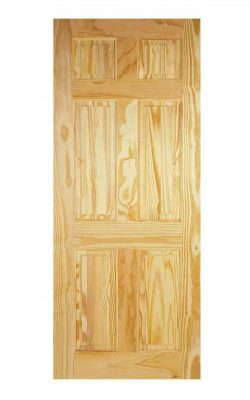 At Online Door Store, our selection of Victorian Style Doors come in a range of different woods and designs, making them perfect for any home interior. Browse ours! If there’s anything that can finish off the look of your home, it’s the perfect doors to suit the build and decoration of your interior. 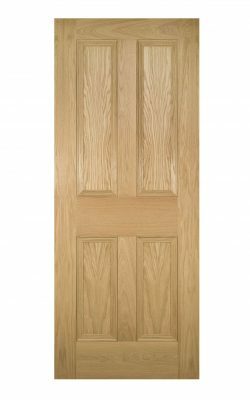 Here at Online Door Store we have a wide range of Victorian doors for you to choose from in a range of different finishes and woods. 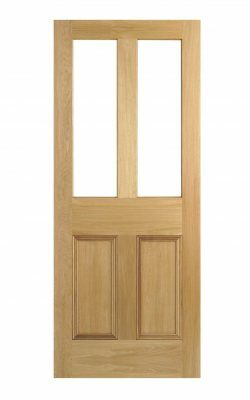 Whether you’re looking for a Pine Victorian style door, or Oak is more your thing, you can be sure that there will always be something within our range to suit your home and your preferences. 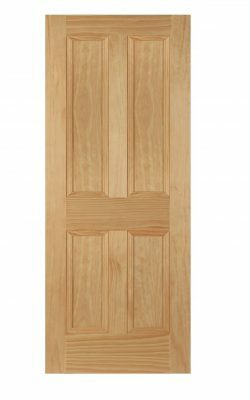 If you need a matching Fire Door then please also browse our range of Victorian Fire Doors. Redwood Ledged and Braced design. 38mm thick with 16 mm boarding. Two elongated panels above two rectangular panels. 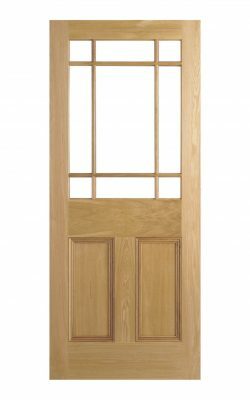 Clear Pine high quality timber door. 1981x610x35mm (78″x 24″) Last one available!! 1981x868x35mm (78″x 33″) one available!! A ‘Shaker’ style Victorian/Regency door. Two clear lights above two flat panels. No beading. Available as a Fire Door (45mm) version and as a Vision Panel Glazed variant. Also available in an unfinished oak veneer. Raised panels, and raised mouldings. 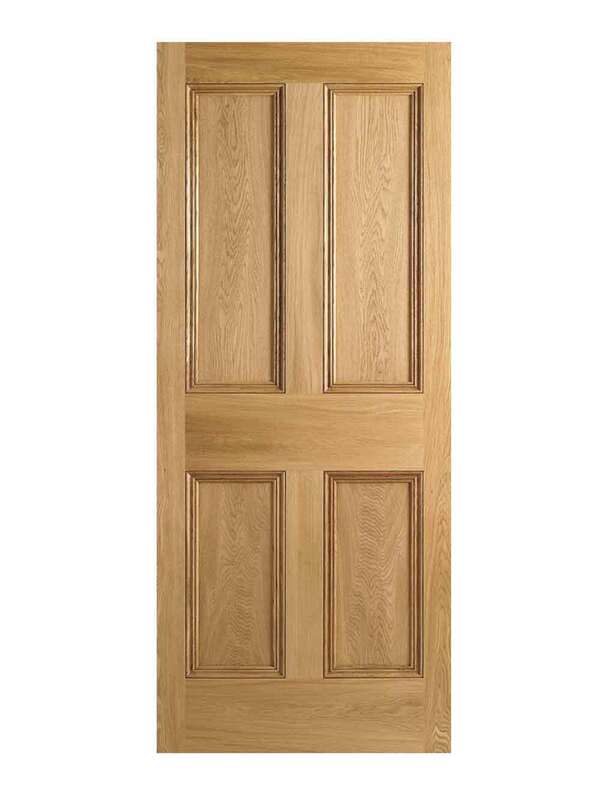 White Oak high quality timber door. 1981x762x44mm (78″x 30″) Last one available!! A solid door with six raised shaped panels in this classical Georgian/regency design. 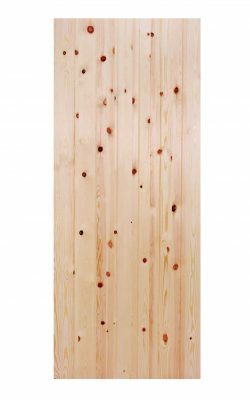 Engineered, solid core, raised panels. A ‘Shaker’ style Victorian/Regency Oak door. Four flat panels. No beading. Available as a Fire Door (45mm) version and as a Vision Panel Glazed variant. Also available in a white primed finish. 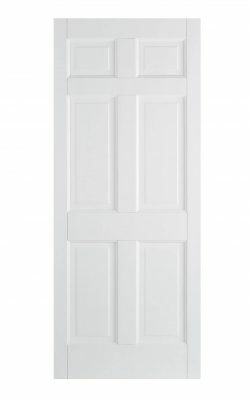 ‘Victorian’ Shaker Four Panel White Primed Internal Door. Four panelled ‘Shaker’ style door. Perfect for Contemporary Interiors in Period Properties. Also suited for Commercial applications. Corridors, offices, meeting rooms. Four vertical squared off recessed panels, solid borders. 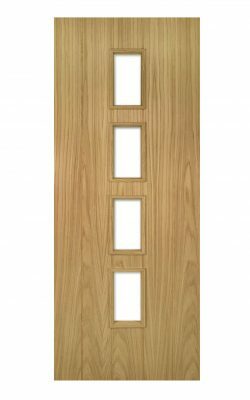 Available as a FD30 Fire Door (44mm) version. Partner with the white London Glazed 2-light where a glazed variant is required. Planked contemporary Oak styling. Broad planked effect for tranquil surroundings. Unfinished- so ready for your choice of decoration. Available as a Fire Door (45mm) version and as a Vision Panel Glazed variant. Unglazed apertures for your own choice of glazing. Broad planked effect for tranquil surroundings. 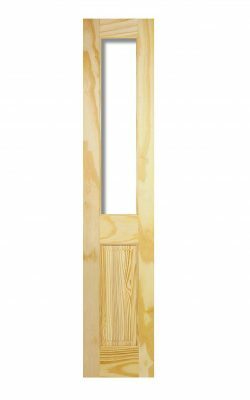 Available as a solid Fire Door (45mm) version and as a standard variant. 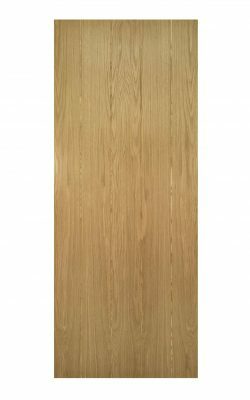 Available as a Fire Door (45mm) version and as a standard 35mm variant. Also available in an unfinished oak veneer. Classical Victorian/Regency four panel Oak styling. Flat panels with ornate mouldings. Available as a Fire Door (45mm) version. Raised mouldings around raised panels. Prefinished- so ready for top coat-job done! Factory applied smooth white primer. Classic Georgian or Regency style. Opulent raised mouldings around raised panels on both sides. Use even in bathrooms with the addition of curtains. Four vertical panels, two with bevelled clear glass, two timber. Also available as a fire door AND a glazed fire door. Glass packs available separately including etched glass (£75) and leaded pattern (£105). Traditional Victorian/Regency Oak styling. Four raised panels. Victorian four panel classic styling. Slightly raised panels inside ornate beadings. Available as a Fire Door (45mm) version and as a Glazed model..
Also available: separate 9 piece etched glass pack with starburst corners. Use also in bathrooms with the addition of curtains. Engineered, solid core (weight up to 22kg). Also available as an glazed door with separate glazing pack. 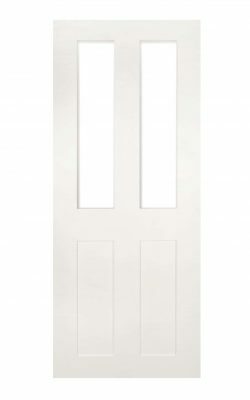 A solid engineered door with four flat panels in this classical Victorian design. FSC approved Door. Smooth finish with decorative beading. A ‘Shaker’ style Victorian/Regency Oak door. Two clear lights above two flat panels. No beading. 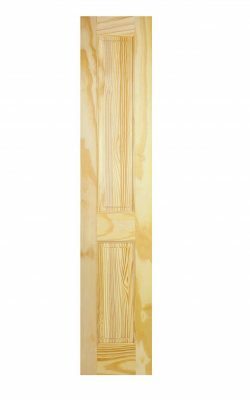 Available as a Fire Door (45mm) version and as a standard 35mm variant. Also available in a white primed finish. Four vertical panels, moulded borders. Engineered, solid core (weight 22kg). Also available as a FD30 Fire door. Also see two glazed variants. Please see below. A traditional style this pre-finished 4 panel door, constructed with particleboard core, 10mm matching timber lippings and faced with an oak veneer. 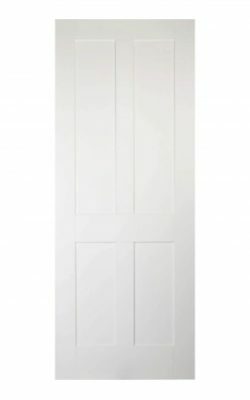 The door is available in a fire door version (FD30). Internal hardwood Glazed Period Door. Two clear bevelled glazed lights over vertical raised panels, Regency styling. Classic, period Un-finished Oak styling. Ideally suited to cottage style or traditional homes. Separate bracing pack available if required. 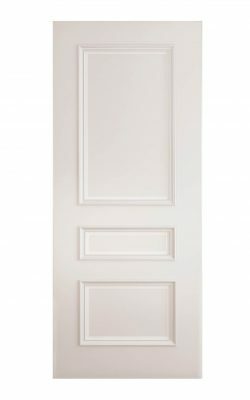 The four-panel Victorian style doors that are so typical of that era have long been a favourite, the classic design subtly and easily fits into any interior. With raised and fielded panels, the flexible styling compliments any home and with the option on some of our unfinished internal Victorian doors to be coated in the customer’s choice of finish, there is even more flexibility in design and fit to your home. Our Victorian doors can now be made to measure, meaning that we’ll fit our doors to your home for you, ensuring the measurements are accurate for your interior and the door frame that our Victorian door will sit in. How can a Victorian Door help my Decor? 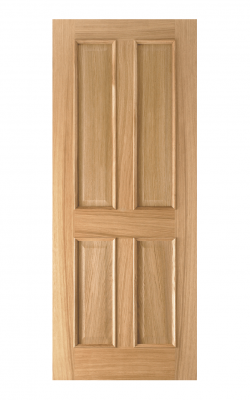 Our Victorian style doors come in a range of different woods to fit any needs and designs. 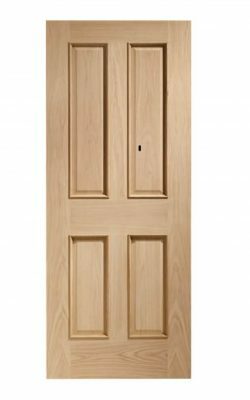 Our Clear Pine internal Victorian doors are left unfinished, allowing you to choose your own individual coating and finish to suit your home and your needs, giving you more flexibility in your choices beyond simply deciding what design of door you would like. 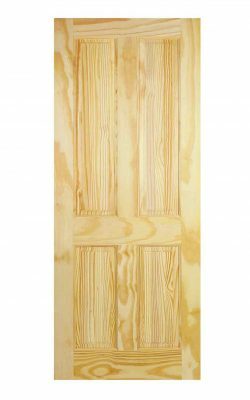 Our Pitch Pine Victorian doors are visually stunning, made with a tremendous looking wood that gives off a traditional feel in a way that can’t be recreated with synthetic or new materials, or even ordinary pine. The highly desirable and frankly nostalgic look of our Victorian doors not only gives you the traditional look, but it also means that no two internal Victorian doors will ever look the same. No matter whether you buy one Victorian door, or five, you can be sure that no door you own or see will be the same, giving you a sense of originality. These doors are best left unpainted, letting the beauty of the wood shine through. 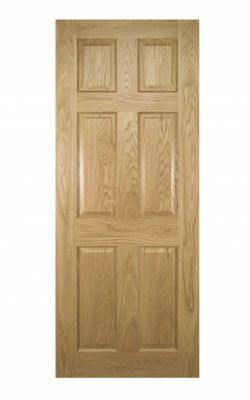 Our Oak Victorian door range consists of some of our most solid models. 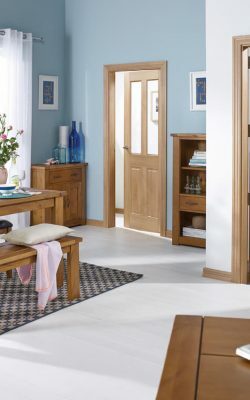 They are made with a solid wood core base, and a thick veneer of soak is applies over the top, giving the beauty and rich grain that is so typical of an oak door. 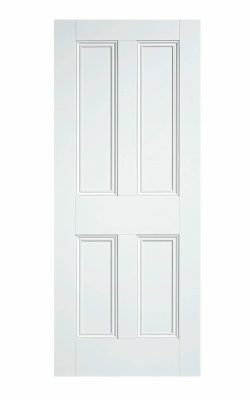 The understated, subtle and simple style of this internal Victorian door makes it ideal for both traditional, and contemporary homes alike. 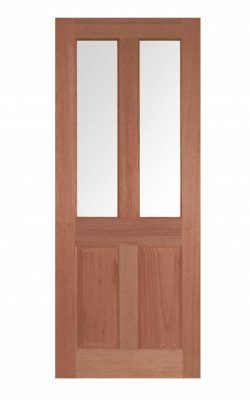 For a high quality Victorian door, you need look no further than Online Door Store. Our four-panel design is so typical of a Victorian style door yet fits both traditional and contemporary homes and offers a subtle nod to a time long passed. With a range of accessories, including ornate locks, to go alongside these Internal Victorian Doors, there is no lack of personalisation options. 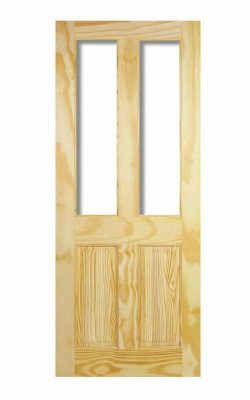 A few of our Victorian style doors are also available in our fire door range for that extra level of security and safety within your home. All of our Victorian doors are designed to limit any warping, splitting, or size change with the seasons, but our fire-safe internal Victorian doors go that step further, ensuring up to 30 minutes of fire safety for any rooms or areas that might require a little extra protection. Our made to measure service means that we can ensure that your internal Victorian doors will fit any doorway, resizing the door to fit as evenly and as accurately as we can. There’s no reason why a brand new Victorian door can’t be affordable for everyone. 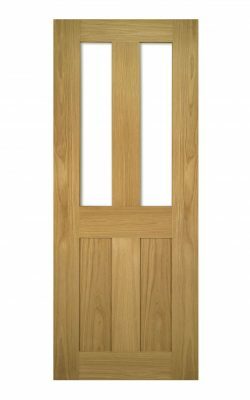 For more information, or for answers to any enquiries, don’t hesitate to get in touch via our email enquiries@onlinedoorstore.co.uk or give us a call on 01132 234898.